Does seeing a Ferris Wheel make your heart skip a beat? Obsessed with the rush of finding the fastest and tallest ride? 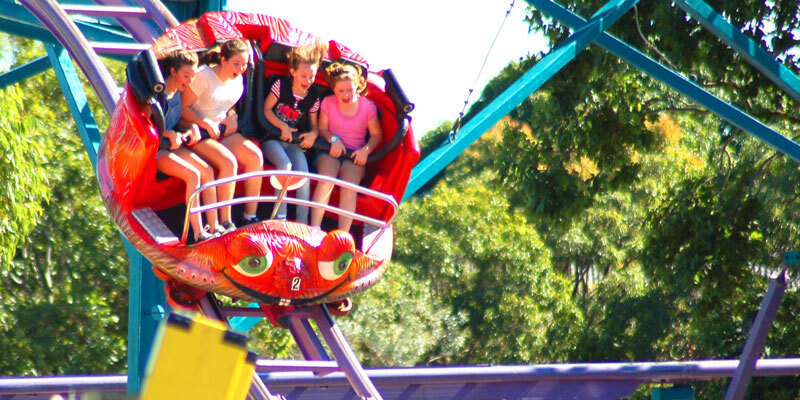 Head to the Bundaberg Regional Show for some thrill-seeking fun. A brilliant tribute show of one of the world's greatest rock bands with more than 150 million records sold worldwide, six Grammy Awards, six number one albums and five number one singles. Giving local fitness trainers, health experts and local sporting groups, the opportunity to showcase their services and provide you with ample information on how to maintain a healthy lifestyle. Grab your running shoes and build up a sweat for a good cause at The Rotary Club's Ring Road Run. This year's funds are going to support RACQ LifeFlight Helicopter and the Leukaemia Foundation. A modern masterpiece of Ibsen's 'Hedda Gabler' recreated by Tony Award-winning director Ivo Van Hove, exploring the struggle of a newly married woman and her efforts to control the world around her. Dust off your fishing rod, catch some bait and head to Bundaberg Volunteer Marine Rescue Fishing Classic for a weekend of family fun and fishing, and help aid Volunteer Marine Rescue Bundaberg.